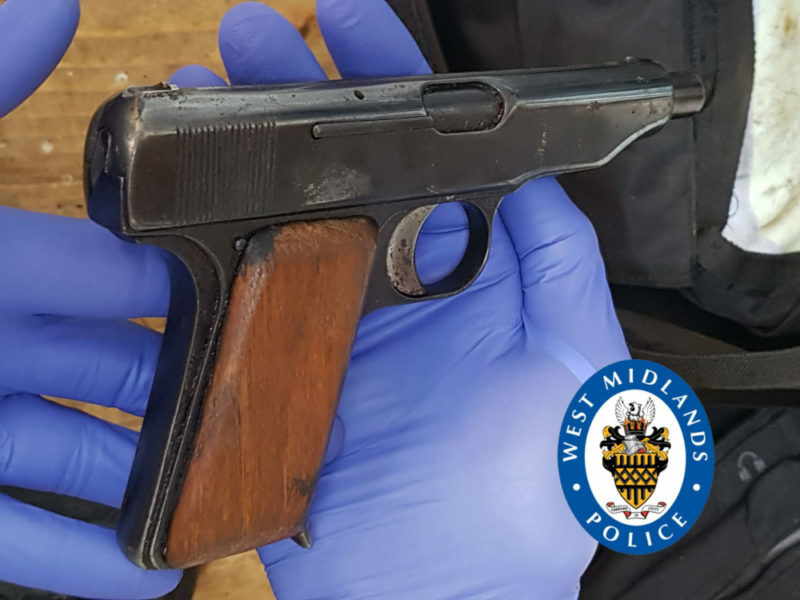 Eight firearms have been recovered in Birmingham in just a month, West Midlands Police have revealed, including a firearm discovered just yesterday. 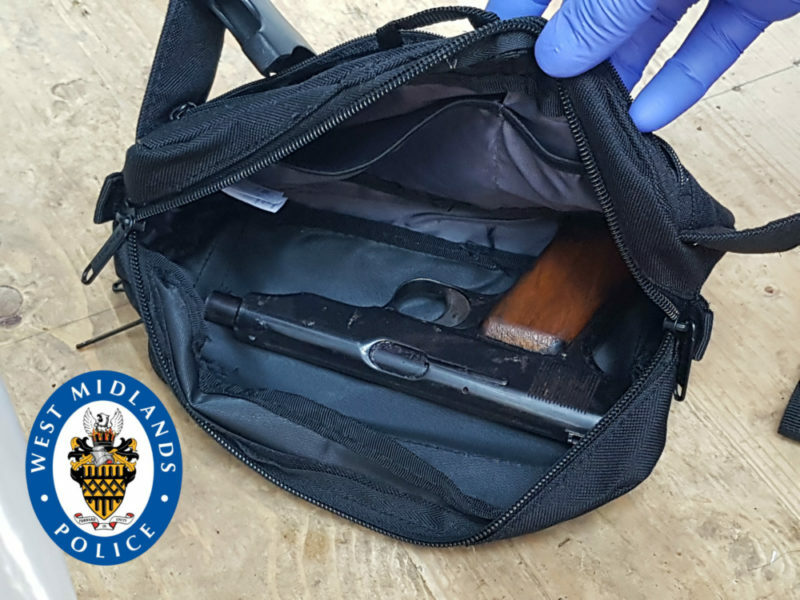 The gun police officers found yesterday (Wednesday 22 ) is believed to be linked to Birmingham gun crime but was uncovered in Solihull. 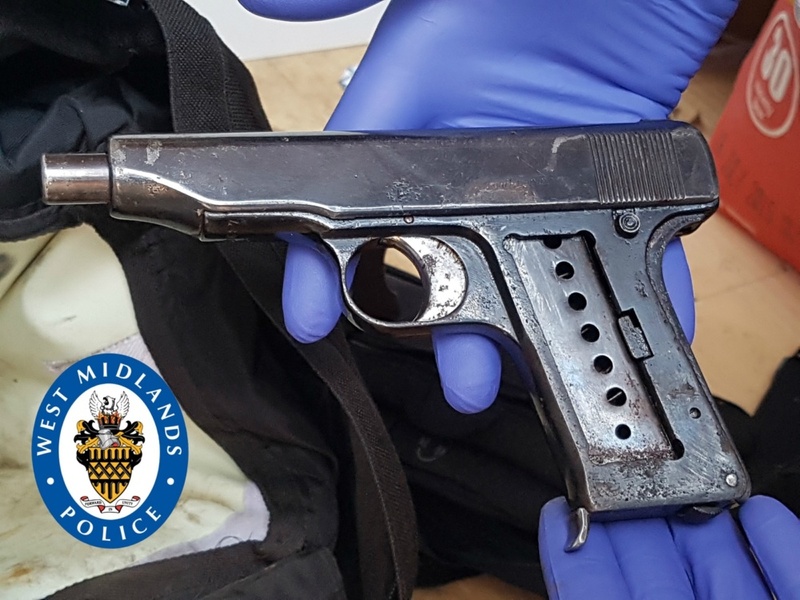 Officers from Birmingham Organised Crime and Gangs Team recovered a large quantity of suspected Class A drugs and this live .65 handgun during an unrelated arrest enquiry. Two men, aged 20 and 18, and a 39-year-old woman were arrested in Wootton Close in connection with the discoveries. The teenager has since been recalled to prison, while the other two have been released on bail while investigations continue. Revolvers and shotguns have been among the deadly weapons seized, while several people have been arrested in connection with the discoveries. The weapons were seized in Digbeth, Stirchley, Northfield, Castle Vale, Druids Heath and the city centre. Two were found in Balsall Heath. Last week, four men were remanded in custody after being charged in connection with the recovery of a sawn-off shotgun in Castle Vale. “Our work to take guns and those who use them off the streets is progressing at a really rapid pace. “Around the clock, officers are developing intelligence, working with people and partners, searching addresses, cars and public spaces. “We are absolutely dedicated to reducing the harm or potential harm caused by serious and organised crime and work with many agencies to do that. “We are very aware of the huge impact that shootings have, not just on those directly affected, but whole communities and the wider West Midlands. “But we can’t do it without the help from those communities. Young people are especially at risk from exploitation and we rely on intelligence about who is trying to control them, who has access to guns, where they are kept and who is using them. You can get in touch with West Midlands Police via Live Chat at west-midlands.police.uk between 8am and midnight, or call 101 any time. Alternatively, ring Crimestoppers on 0800 555 111. You’ll have complete anonymity. No-one will ever know you’ve called.